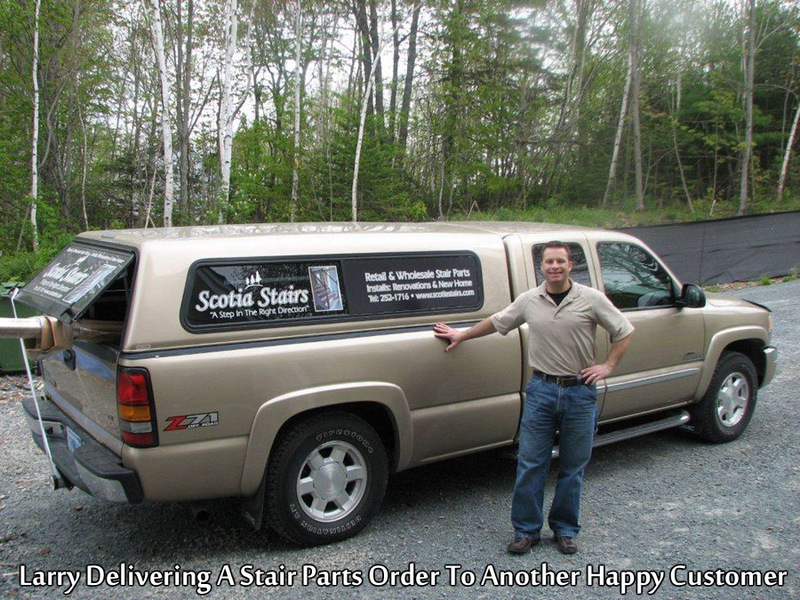 Stair Parts Canada is a Division of Scotia Stairs Ltd. We are a retail and wholesale stair parts distributor located in Nova Scotia, Canada. We supply high quality hardwood stairs & railings at great discount prices. Our Stair Parts Include: Hardwood Stair Treads, Balusters, Newel Post, Stair Nosing, Metal Balusters, Handrail & much more. We ship our stair parts throughout Canada, The USA & World Wide ( see our shipping info. pages ror more details ). 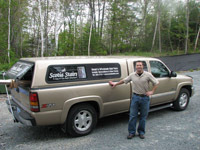 Mr. Larry Stuart is the President ( and owner ) of Scotia Stairs Ltd. Larry is a graduate from Dalhousie University with a major in business management. He was the sales & marketing manager for Atlantic Canada's largest hardwood stair parts distributor before forming his own company Scotia Stairs. He was also the head of contractor sales when Home Depot Ltd.© first opened its doors in Halifax, Nova Scotia. Larry's drive for customer satisfaction is second to none and with 20 years in the construction materials supply industry, his long term track record speaks for itself. Putting A Face To The Name : Larry Stuart - 20 Years Experience In The Construction Materials Supply Industry. Larry Stuart - Owner & President. Neil MacMillian - Shipping & Receiving. Roy Gillard - Special Projects Division. Richard Brown - Installed Sales. Brian Hubley - Installed Sales. JP Mill Shop Ltd. - Our local custom millwork production shop/team. Scotia Finishing Ltd. - Our in house spray finish shop/team. Scotia Stairs Limited opens up its own in house Spray Finishing Shop ( Scotia Finishing Limited ) and adds a 1,000 SqFt. state-of-the-art spray booth shop to our production capabilities. The spray shop gives us the ability to turn out high end furniture grade pre-finished stair parts. We offer clear coat finish or any custom stain color under the sun ( now that's service )! We are moving full steam ahead and purchased our own commercial building and property, located in Upper Sackville, Nova Scotia. We will be moving into our new 4,000 SqFt. Office / Warehouse in Aug. 2012. Wow... we now have approx. 10,000 SqFt. between the new building, the custom millwork shop, the spray booth shop, and our smaller overflow warehouse! Scotia Stairs teams up with JP Mill Shop Ltd. and adds a 2,500 SqFt. custom woodworking mill shop to our production capabilities. One 300 sqft. solar kiln building, and one 500 sqft. electric power kiln building. We now manufacturer our own hardwood box newels, full false stair treads, extra thick stair treads, modern handrails, D4S lumber, custom stair nosing, specialty trims, and much more� this in house production allows us to control the quality at all times. Due to growth we have also added another 500 sqft of storage to our warehouse. We now have 2,500 sqft of warehouse, a 2,500 sqft custom millwork shop, and we are still running out of space. Scotia Stairs teams up with North America's oldest and largest stair parts manufacturer ( 135+ years old and 3 production facilities that total 550,000 square feet ) because our valued customers deserve the very best. Scotia Stairs a member of the Nova Scotia Home Builders' Association ( NSHBA ). Scotia Stairs leases a 2,000 sqft building located in the Sackville Business Park. View Stair Parts Canada location in a larger map here if above link does not work. We can ship our hardwood stair parts from our warehouse to anywhere in the world. USA & Global Customers - Click Here. Great Prices, Great Products and Great Service"